"Kanishka Marketing Pvt. Ltd." is over 19 years old organization of Kathmandu and is involved in ad marketing, media communication, advertising support, supply of all kinds of visibility items, event management, audio-visual production, survey, research and corporate training. The organization has categorized its marketing network through different wings. Kanishka Marketing has developed confidence among various clients in the short span with various activities. This organization has worked with almost all leading organizations of Nepal from private sectors to government sectors and also from INGOs to NGOs by providing lots of option to get their work done from one place and delivery at their doorsteps. In providing services to the clients Kanishka Marketing sometimes join hands with local and others (work providers) to complete the job. This is done, when there is an extra workload or whenever required. In such crisis we appoint manpower and experts on project basis. We also appoint consultants on much specified work and also transfer some works to some other agencies that are related to us. Educational wing of Kanishka Marketing, KMPL (Kanishka Management of Productive Learning) has joined hands with MRST foundation of India and with JT Frank Academy of Malaysia to perform international activities and trying to take approval from XLRI of Jamshedpur, India as their unit in Nepal. Kanishka Marketing has 4 wings, each headed by wing leader and then by group leader, who handles any of their client's responsibility related to their services, feeling the importance of client’s work related commitments. Moreover, being an organization of Kathmandu valley, Kanishka Marketing is sure to come to the client’s door at a single call and is even ready for table talks on any plan discussion and suggestion all the times. This saves important time and many other time killing procedures. Once born, a brand / company need advertising to stay healthy. It is a powerful tool to achieve and maintain leadership in its category. A heavy advertising budget is needed to maintain the brand / company's reputation; where as a little sum of amount is adequate to maintain good public relation. Advertising is not a company's primary communication vehicle. Yet for years public relation has been treated as a secondary function to advertising. What other say about you is so much powerful than what you can say about yourself. That is why public relation has eclipsed advertising as the most powerful force in branding. Thus, strategy should be developed first from a publicity point of view through good public relation. A very important tool in advertising is corporate gifts and novelty item, which is a strong medium of building a strong public relation within or outside the house. If we observe within the house, items like excellence award or memento can arouse an enthusiasm within your employees, making them more concentrated and dedicated towards achieving the goal set for the company. It creates a healthy competition and boost up the working spirit among the staffs. Moreover, such items also touch the sentiments and at the same time it is fruitful as these items are exclusively well branded for the company. We believe, it obviously increases value, reputation and image of the brand and the company amongst your targeted customers outside the company’s periphery. Kanishka Marketing Pvt. Ltd. was established in Falgun 02, 2056 B.S. (i.e. 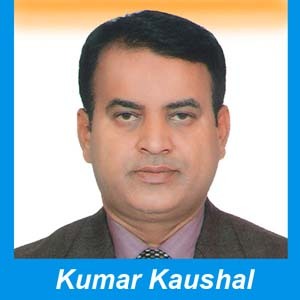 February 14, 2000 A.D.) under the leadership of Mr. Kumar Kaushal, a new businessman, but backed with the marketing experience of 19 yrs with multinational companies like: Ranbaxy, Biological Evans, Mahindra & Mahindra and Sonalika Tractors. This organization has excellent and well experienced filed forces. Kanishka Marketing is situated in the centre of Kathmandu city and has connectivity to all over Nepal. Mrs. Sabita Das (wife of Mr. Kaushal), who is the director and also the head of administration of this company, is taking care of the smooth functioning of the organization. · Corporate gifts, visibility inputs, novelty items & general supplies. Involve in sales & marketing training, Workshops through renowned resource persons, Holding psychological tests, Managing and handling orientation course on organizational employee's development, Total Quality Management (TQM), Personality development, Stress Management etc. Danglers, Stickers, Leaflets, Banners (Cloth / Poly / Flex), Boards, Hoarding, Back drops, Glow signs, Tran slights, Wall Paintings, Brochures, Sky touch balloon, Product shape inflatable balloon, Walking inflatable, Expandable display table, LED computerized display, Trivision Display, Day night visible display, All kinds of screen print, Embroidery, Hot stamping, Tin plate prints etc.